Compatible with most iPhone and Android smartphone models, this adorable little animal will "bite" onto your smartphone to protect your cable while you charge the phone. 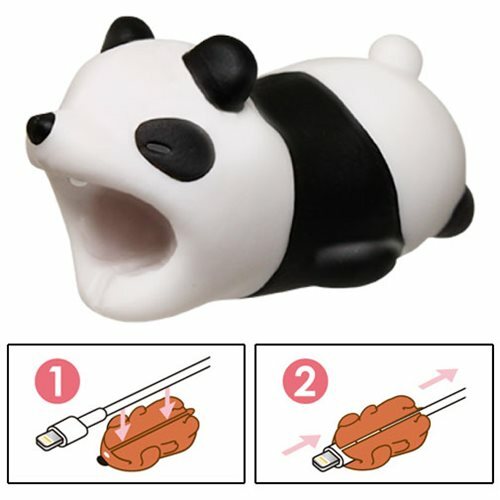 A cute charger charm, the Cable Bites Panda Cable Accessory measures approximately 1 2/5-inches long x 7/10-inches tall x 7/10-inches wide. Ages 14 and up.